ALWAYS is a Responsive Joomla (Desktop, tablet, mobile phoneâ€¦) Creative, Classic, Clean and Professional Template. It comes with Unique Pages, Awesome Slideshows, Easy-to-customize, quickinstall, SP Page Builder Pro and fully featured design. 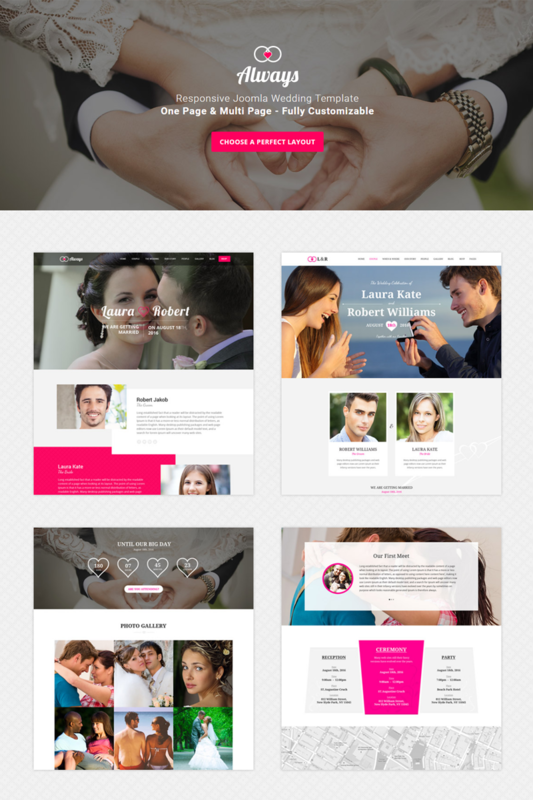 Create Outstanding Wedding Websites in Minutes!